Kumanovo (Macedonia) (AFP) - NATO and the EU called for a return to calm in Macedonia Sunday after clashes between police and an armed group left at least 22 people dead, raising concerns about presumed ethnic-Albanian unrest in the Balkan region. "I urge everyone to exercise restraint and avoid any further escalation, in the interest of the country and the whole region," NATO Jens Stoltenberg said in a statement. Police said late Sunday that their operation against the gunmen in the northern town of Kumanovo was over. 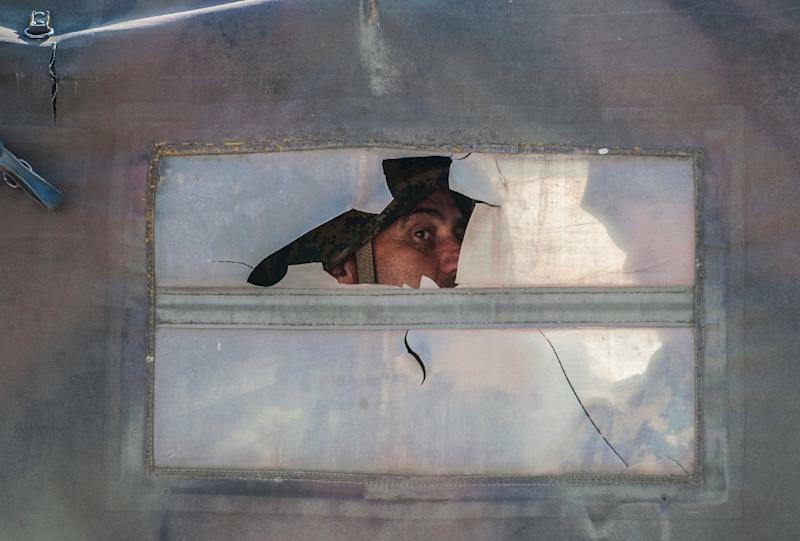 "The armed group is neutralised," police spokesman Ivo Kotevski told AFP. The troubled area in Kumanovo, some 40 kilometres (25 miles) north of Skopje, was "under police control," he added. Eight police officers were killed and 37 were injured in the gun battles, which began at dawn Saturday, and 14 bodies were also found at the site, the spokesman said earlier. The assailants were from "a particularly dangerous terrorist group" whose members included people sought on international arrest warrants, Kotevski said. The group was made up of over 30 people, mostly Macedonian citizens and five presumed ethnic-Albanians from Kosovo, supposedly the group leaders, and one from Albania, he said. According to the interior ministry some 20 gunmen who surrendered Saturday were to be brought to a Skopje court as an investigation opened into the deadly unrest. As crisis-hit Macedonia declared two days of mourning Sunday, both the European Union and NATO warned of the danger of escalating violence in a part of the country hit by an ethnic Albanian insurgency in 2001. Ethnic Albanians make up around one quarter of Macedonia's 2.1 million population. Mindful of the past insurgency and multiple wars during the break-up of the former Yugoslavia, EU officials are particularly keen to prevent ethnically-driven violence from erupting in the heart of the continent again. "Any further escalation must be avoided, not the least in the interest of the overall stability in the country," EU enlargement commissioner Johannes Hahn said in a statement late Saturday. The violence broke out Saturday when police moved in on the armed group, and met with what the authorities labelled "violent resistance" from snipers, grenades and automatic weapons. The interior ministry said the gunmen were planning a "terrorist attack" on state institutions and civilian targets, and had accomplices in Kumanovo. 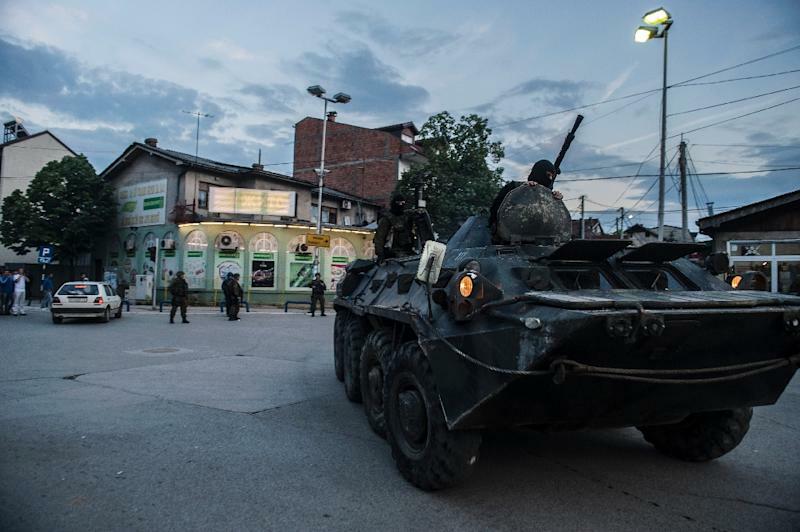 Media broadcast images of armoured police vehicles deployed across Kumanovo, with officers clad in bullet-proof jackets. Dozens of people, mostly women, children and the elderly, had fled the besieged zone, some of them being evacuated by police, according to an AFP photographer. "We are poor but we were living live without problems ... We don't want a war again as it was in 2001," Adila, a 59-year-old ethnic Albanian from Kumanovo, told AFP. "We want a better life for our children," said the mother of five who did not want to give her last name. The incident comes less then three weeks after around 40 ethnic Albanians from neighbouring Kosovo briefly seized control of a police station on Macedonia's northern border, demanding the creation of an Albanian state in Macedonia. Prime Minister Nikola Gruevski said Sunday that some of the Kumanovo gunmen took part in the police station attack. The 2001 Macedonian conflict ended with an agreement providing more rights to the community, but ties between Macedonians and ethnic Albanians remain strained. The violence in Kumanovo erupted amid political tension in Macedonia, where the government and centre-left opposition have been trading accusations including claims of wiretapping and million-euro bribes. The crisis has undermined Macedonia's already weak institutions, and also sparked concerns within the 28-nation EU that Skopje hopes to join. Meanwhile, Macedonian President Gjorge Ivanov convened a top security body meeting, attended also by two ethnic Albanian parties, at which the violence was condemned. 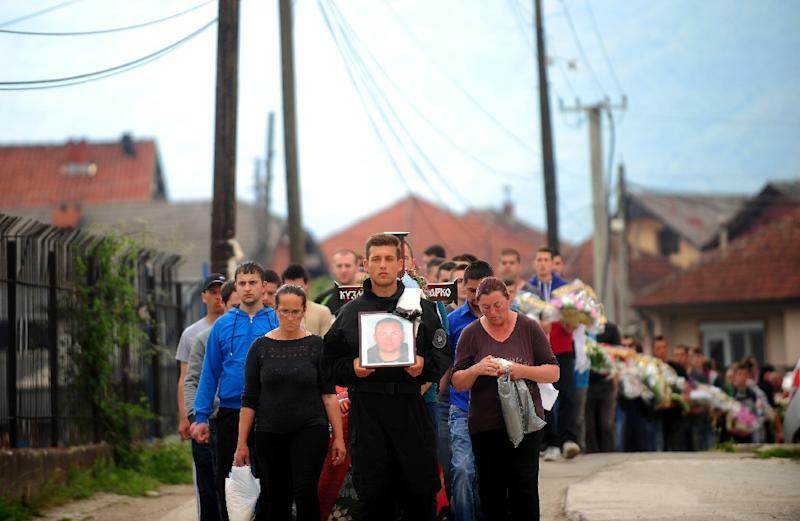 Both Albania and Kosovo also condemned Saturday's clashes and appealed for calm. Ivanov also urged EU and NATO, which Macedonia is seeking to join, to "find a way to unblock the Euro-Atlantic integration for the sake of both Macedonia and the entire region."